I cannot possibly do this book of poetic beauty justice. The views of Lindbergh can be considered old-fashioned and antiquated, and they are, but that should not diminish the truth behind her words. As women, we all still struggle with finding time alone, relationships, midlife, aging. This slim memoir is to be savored one small chapter at a time and by those who can appreciate that it was written in a different, but no less significant period. Lindbergh lived a privileged (and in some ways tragic) life, but her words can be appreciated by every woman. I set aside time to fully appreciate each chapter with no outside noise or time constraints (a difficult task), and felt that I had visited and been restored by the sea. From my personal library and I loved it. This trilogy, based on the fantasy books by JRR Tolkien, is based in Middle Earth during a dangerous time. The dark lord Sauron wants to rule over Middle Earth and he must find the One Ring that can make that possible. The wizard Gandalf, four hobbits, two men, an elf, and a dwarf form a fellowship to destroy the ring, but there are many evil forces at work and they don’t all make it to the end. I fell in love with her when I saw A Walk on the Moon (who also happens to feature that swoon-worthy man above), then I saw Under the Tuscan Sun and it cemented her place as one of my favorite actresses. Who didn’t want to find a secret door in their house to step through for adventure after reading this? One of children’s books that I think has aged well. Only two books and I loved them both. Good Grief and Happiness Sold Separately. She hasn’t written a book in ages, but I’ll be first in line when she does! I read the Lion series as an adult. I loved it. And I totally agree about Lolly Winston. She lives (or at least did) in my area. I don’t know what the heck she’s been doing since her 2nd one came out. But they were both really good. I came across another author like Lolly a few years ago. Her name is Deborah Wolf, and she wrote With You and Without You. If you like Lolly, you’ll like this book. Just a few days ago I thought about Lolly Winston. I hope she writes another book. You should use your author connection and find out what’s up! My grandmother was so protective of her set of Narnia books–she really didn’t want to loan them to me when I was a kid, but I finally talked her into it. I devoured those books and still think fondly of the world Lewis created. Such good books. 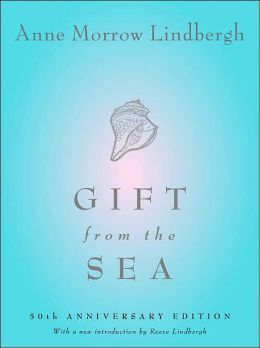 Gift from the Sea sounds like a must read book. I am glad it spoke to you, Stacy. Isn’t it nice that you will always associate Narnia with your grandmother? Those are the sorts of book/reading memoires I want to create for Gage. The Lion, the Witch, and the Wardrobe is one of my favorites too. I never finished the whole series! One of these days I need to start at the beginning and finish them. 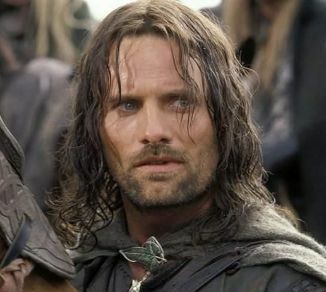 I love the Lord of the Rings trilogy too. Such a classic! I liked Lane’s Linda Greenlaw in The Perfect Storm. Gah! I have to correct myself again! She wasn’t Greenlaw (the Maine boat captain, which is why I remember that name, because I’m from Maine myself) but another character. The selection still stands! I liked her in The Perfect Storm too. She seems likes such a cool, yet accessible woman. Gift From the Sea. You make it sound wonderful. I’ll have to check it out. The first few Chronicles of Narnia set me on my path of fantasy love!